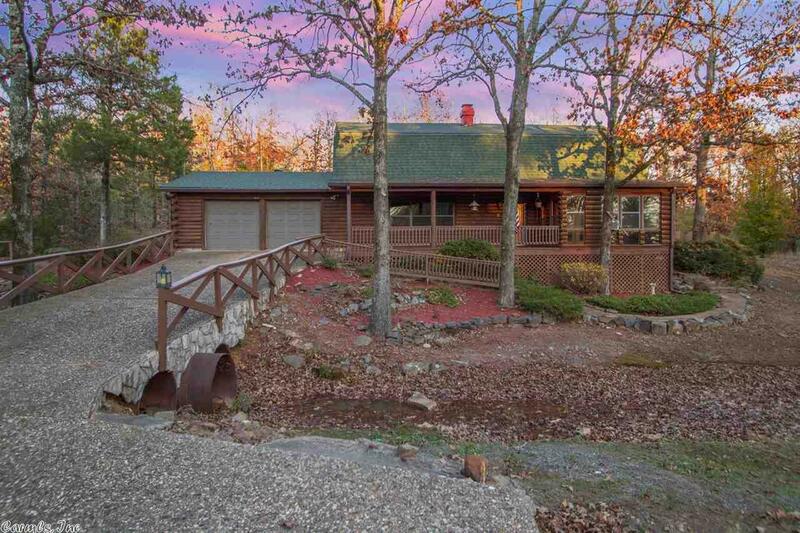 Log home with 4 or 5 bedrooms and 3 full baths. Main level offers a large eat-in kitchen with island, den with exposed wood beams, rock fireplace with gas logs, master bedroom with large bath that includes a walk-in shower and jetted tub and water feature. Main level also offers a sun room, large laundry room and 2 bonus rooms. Upstairs has 4 bedrooms (1 with adjoining bath)!! Square footage came from tax assessor. Please measure.